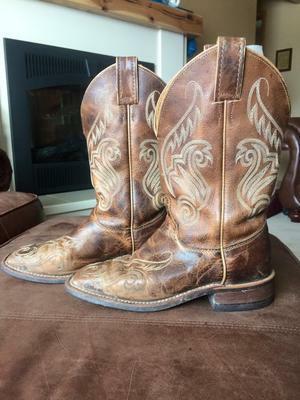 Beautiful distressed leather cowboy boots, they were just too small for me! I have owned them for less than a year. 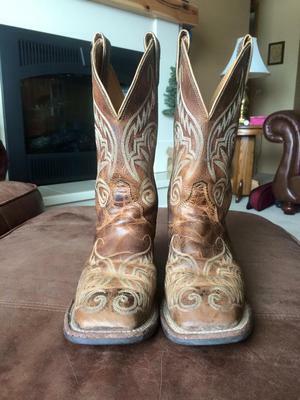 They are a size 7 but wear more like a 7.5 probably. Email me at marciesindt@gmail.com if you are interested. I'm asking only $100 and am willing to negotiate a little.